This pizza peel will keep pizzas flying into the oven without making a mess or risking a burn. Peels is made of aluminum material and handle is made of wood. 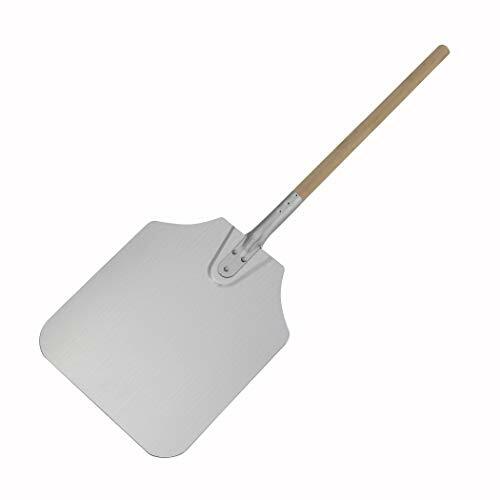 This aluminum pizza peel works best for placing pizzas into the oven because the surface is slick enough to prevent the dough from sticking to the peel and the rectangular shape prevents an uncooked pizza from sagging over the edge. Blade measures 12-inch width by 14-inch length and handle 12-inch length.